To celebrate Theo Fabergé's eightieth birthday he created a cobalt blue guilloché enamel egg in the style of his grandfather. 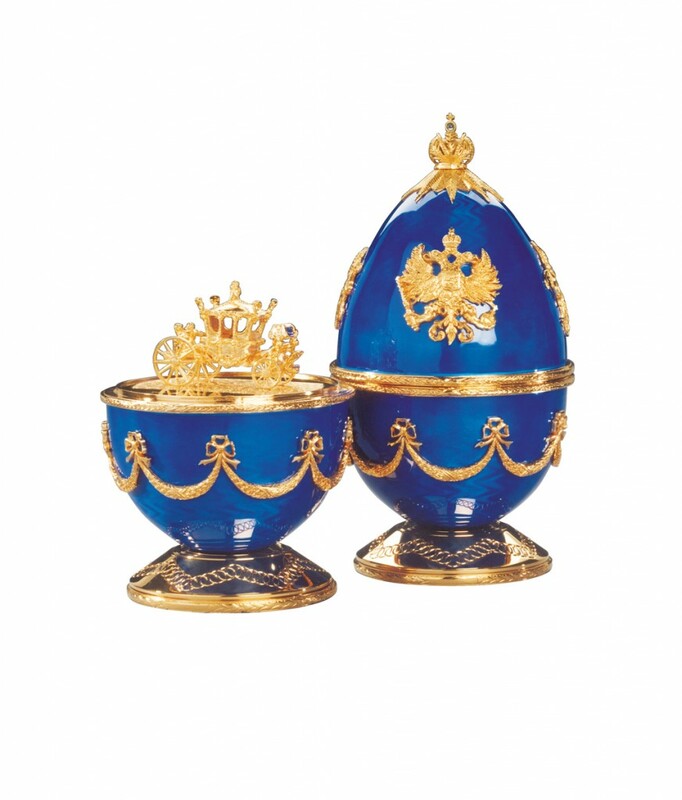 The egg is adorned both with the double-headed eagle of the Czars of Russia, and also with the Royal English Lion and Unicorn. 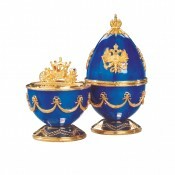 The Egg is surmounted with the Russian Imperial Crown in vermeil set with a cabochon sapphire. The base bears Theo's own interpretation of the famous Fabergé swags, and the foot is ornamentally turned on his Holtzapffel lathe dating from 1861. On opening the Egg, the surprise within; the Royal English Coronation coach in celebration of the Golden Jubilee of Queen Elizabeth II. Theo Fabergé's Eightieth Celebration Egg bears his personal mark, specially adapted for this auspicious occasion.